Diablo III Box Art Leaked? 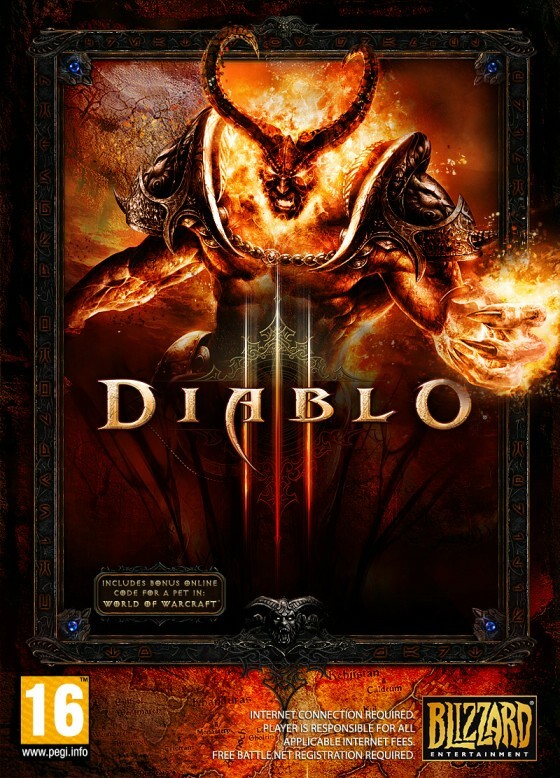 Gamepur is reporting that this Diablo III box art was recently uploaded by a prominent Polish online game retailer. It’s got all the official Blizzard names and logos, and is presented as the official box art. That doesn’t mean it is, of course, but if it’s fan art they grabbed and stuck on a box, it’s not a piece I’ve ever seen before. And since, thanks mostly to HolyKnight’s efforts, we maintain by far the largest Diablo 3 fan art gallery on the Internet, that’s saying something. This piece doesn’t look especially like the Diablo we’ve seen from the cinematic or from official artwork, but it’s not wildly different. The mouths/heads on the shoulders/side of the next are still there, at least. Creating fake Diablo III box covers is a long-standing fan art tradition. We’ve got a lot of them in the gallery, and used a dozen of them for decoration throughout the massive Diablo 3 History article in the DiabloWiki. We’ve also seen numerous fake retailer release dates. But never before have the two (possibly) been combined? I’d be surprised if this proves to be the official artwork. It’s nice, but not amazing, and the scale/angle of the figure isn’t very impressive or imposing. Who looks down on Diablo? I’d also expected them to continue the series’ history of showing a fairly closeup view of Diablo (or Baal’s) face on the box. What do you guys think? Update: That didn’t last long. It’s WoW fan art. The piece depicts Sargeras, the creator and leader of the Burning Legion. (Which explains why this one wasn’t already in our fanart gallery.) The piece is by Pepperwolf. Thanks to HolyKnight for remembering where he’d seen it before. Update #2: Much better view of the box added, courtesy of here. Sinned from Diablo 3 Poland let us know that the retailer, Gram.pl, told him it was their “temporary” cover, one they’re evidently using to drum up pre-orders.